These were the things I loved in February. The mix is shorter than usual because I was enjoying these artists so much there wasn't time for many others. Especially Lia Ices, her newest album Grown Unknown is beautiful. She's got that Indie-queen worthy haunting voice and the occasional guitar riff to keep it interesting.Click the pictures for their sources. The pink and green obsession continues. i love these pics, so gorgeous! Gorgeous. Thanks for sharing. You always add beauty to my life! I love that picture of Edinburgh - mostly because I start to swoon whenever I see a picture of Edinburgh! love the first photo - nice! So lovely. Thank you for sharing. I love good photography. The first one is my favorite of this bunch but all are amazing! love the photos! there's something romantic and quaint about each one. 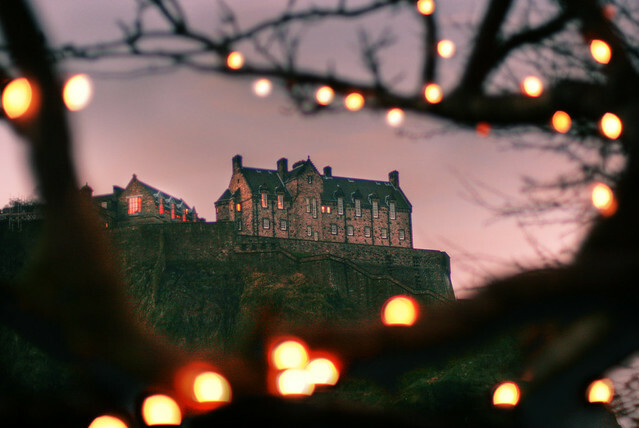 that picture with the lights and the castle is so, so pretty. How have I not heard of Lia Ices? Wow - those photos are gorgeous. You have great style and taste, I'm definitely following!